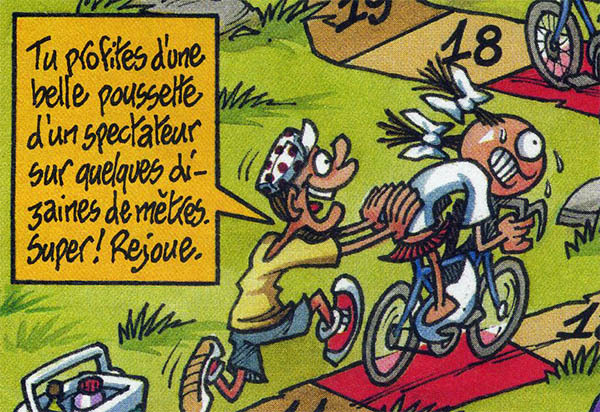 Simple roll-and-move game appeared in Spirou nº 4137 (from july 5th, 2017). It is not the first game offered by the magazine in its long story (the magazine started in 1938) but, as far as I know, they had not offered a game since 1960. However, it is difficult to be sure. Simple games offered in kiddie's magazines used to be quite common and, what is difficult when trying to collect these games is not finding the magazine but simply getting to know that the game exists, specially if you do not live in the country where the magazine is published. 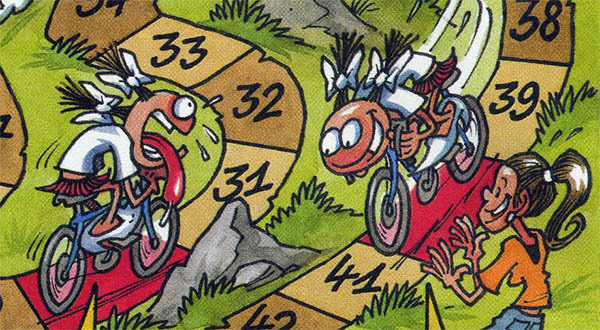 In this case, the game is hidden in p. 48 of the magazine, and it is not mentioned on the cover. 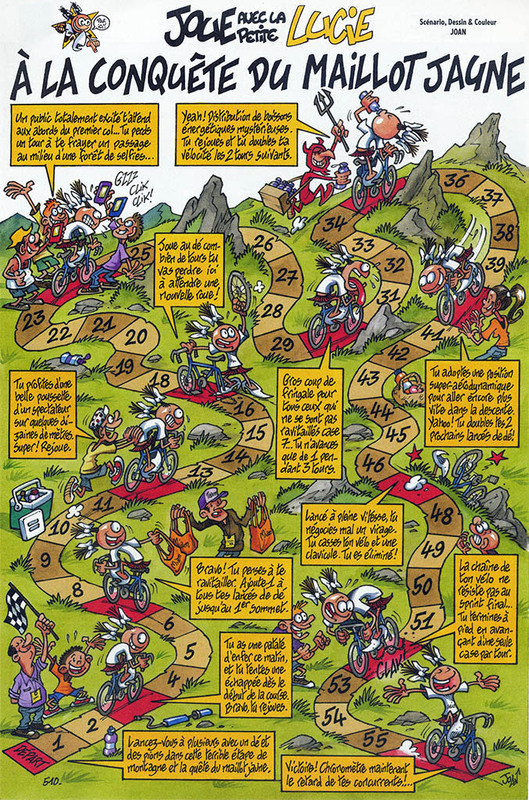 However, thanks to the collaboration of Didier Maria, Jacques Rolland and Pierre Bertin I was able to spot the game and get the magazine just a few days after it reached the streets. I am not sure this game is meant for kids, or what kind of an education receive the readers of the magazine. 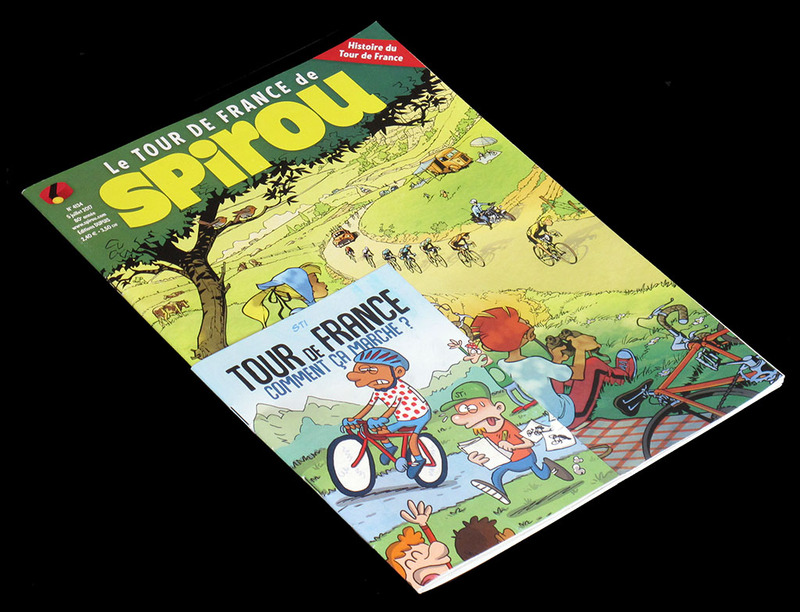 I am not sure either if I should consider this a French or a Belgian game, since Spirou magazine is Belgian (though widely distributed in France) while game designer Joan is French. This is meant for kids? This must be "la petite Lucie"